Nope! For now I don't have a boyfriend to steal jeans from so I'm going to have to make do with the boyfriend cut that's still going on strong for this season. I really hope this trend doesn't die out any soon because it is so comfortable, a great break from the ankle-strangling skinny jeans. I love skinnies but sometimes I like to loosen up a little. Boyfriend jeans look great dressed up or down and go well with a few feminine pieces mixed in. 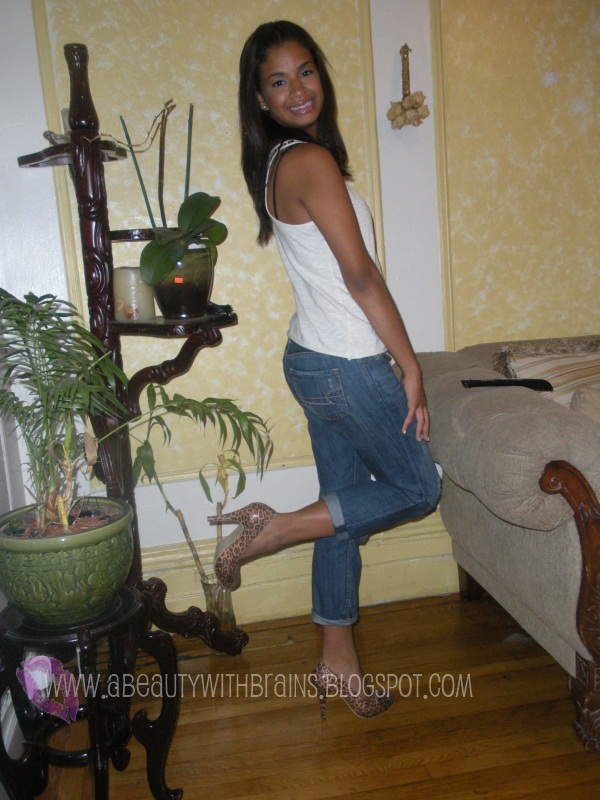 I wore mines with a tank with studded detailing and leopard print pumps, another hot trend for Fall 2010. I absolutely love this post! Sometimes skinny jeans get boring so it's always good to shake things up. I'm all for boyfriend jeans...I have one pair but now I need more!